My good friend and fellow Visio MVP, John Goldsmith, aka visualSignals.typepad.co.uk, was telling me about a family visit to a semaphore tower over the weekend. 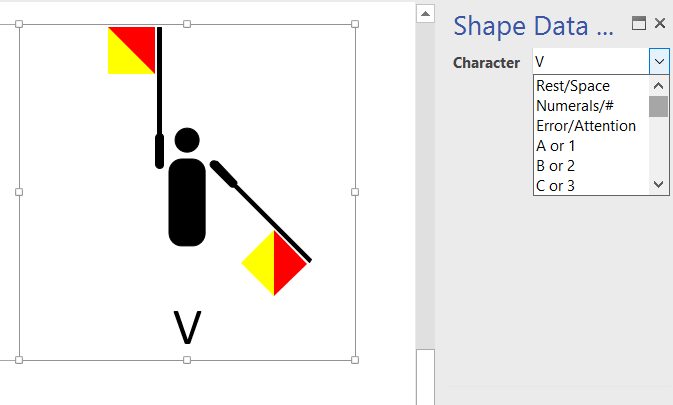 Well, I just couldn’t resist making a flag semaphore shape in Visio. 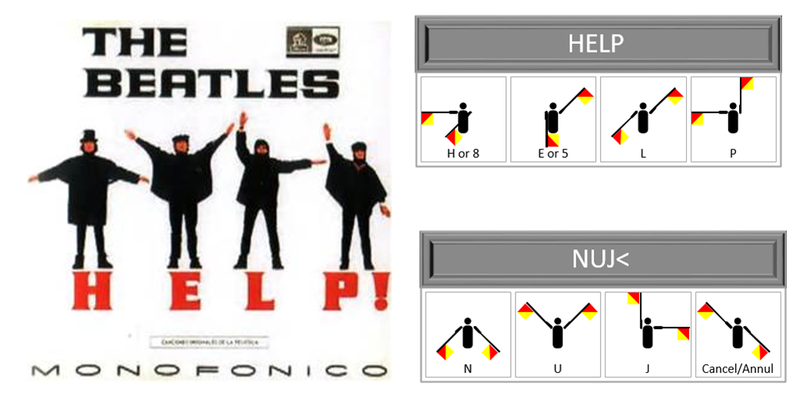 First, I looked up semaphore up Wikipedia https://en.wikipedia.org/wiki/Flag_semaphore . Next, I created a Flag Rack shape to drop the Flag Semaphore shapes into. It automatically spells out the word. 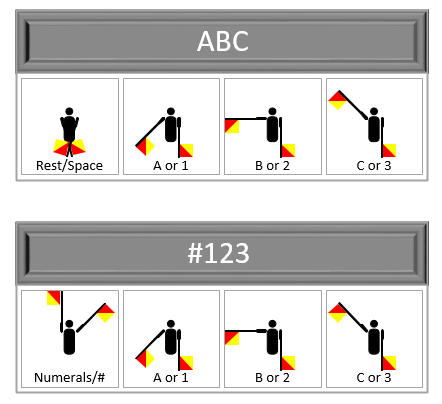 If the first flag is the Numerals/# character, then the rest of the flags are interpreted as numbers. This shape is of no business use that I have thought of yet, but I had fun!